By Angelina Cheung | 03:58 請按廣告以支持本站! This is the second time backpacking since I was born. Last time, I went to Singapore for five days to attend Raleigh Asia conference. At that time, I was with my friend all the time, taking the plane and strolling around. I was alone only for 30 minutes, but that already made me feel nervous. And within this short period of time there were already many things happening. 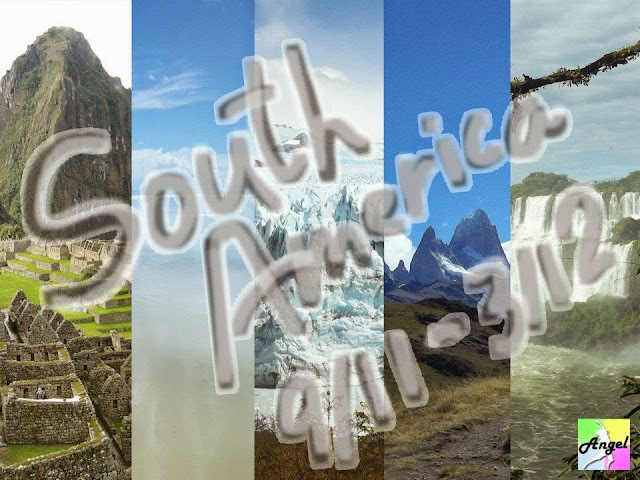 And this time, it is south America! A place I had never dreamed of going! For the start, there were 5 Hong Kongese (3males and 2 females). We firstly volunteered in Costa Rica for Raleigh international. As we traveled for a long way to get here, we should also travel to south america after the 10-weeks volunteering! Between September and November, we traveled together. The advantages included we can talked in Cantonese, less dangerous, dividing the fares of taxi and dividing the fares of sharing a hotel room. Sometimes it would be cheaper to have a 3-star hotel room than living in hostel. Before I went travelling, my mother told me that south america is very dangerous and you must travel with somebody! This made me tell my friend(the other girl) that I would follow her wherever she went! As my friend had many backpacking experience and this was just my second time backpacking, I decided to follow her wherever she went during the trip! You might think that I would really follow my friend forever after, originally I thought I would do this too. But after 3 months, I felt the stress and inconvenience of being five people together. At the same time, my friend(the other girl) and another guy in our group got together. Of course I did not want to be the ‘light bulb’, that was why I decided to have another plan. At the end of November, one of the guy had flied back to Hong Kong. So, we left 2 boys and 2 girls. At the head of December, after climbing up the snow mountain (5XXX metres) at Huaraz, Peru, I decided to separate with them and started my own journey. At first, I was really a little bit scared, but Latin Americans are really nice. This made my alertness soothed. Of course there were times of dangers, but travelling by myself made me feel more and experience more. Let’s talk about the advantages of travelling by myself: I can wake up whenever I want, I can go wherever I can add/edit/delete any schedule I want, I can go shopping for 10 hours nonstop without people scolding at me! I can eat within my budget, or even I can skip meals but eating biscuit or bread only. I can chat with other travelers hostel whenever I want. I can practice my English, mandarin and Spanish. Cantonese is only spoken to myself, I can say foul languages in Cantonese without people noticing! I can know the locals and learn their cultures. Freedom is all around me! It was so amazing! Some people may ask me will I feel alone? I really don’t. Listening to the music I like, going to somewhere I had never been to. I am free to do so. I don’t know what will be happening tomorrow and everyday will be different. Life is full of excitement! So, let’s see what I had experienced during my half-year journey!